Learn more about NIAW ? Let’s uncover the issues of access facing the most vulnerable members of our community — those without access to insurance coverage for infertility care or the economic means to pay out-of-pocket for treatments, third-party options or #adoption. And let’s get real about the support needed to resolve infertility. 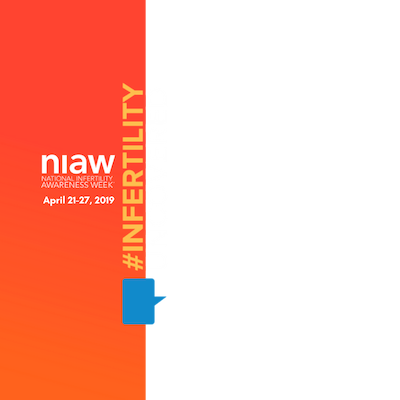 National Infertility Awareness Week® (#NIAW) is April 21-27, 2019 Let’s get real about #InfertilityUncovered.